Double row cubic zirconia huggies crafted in 14k yellow gold. They are set with clear, cubic zorconia stones channel set down the front of each earring. 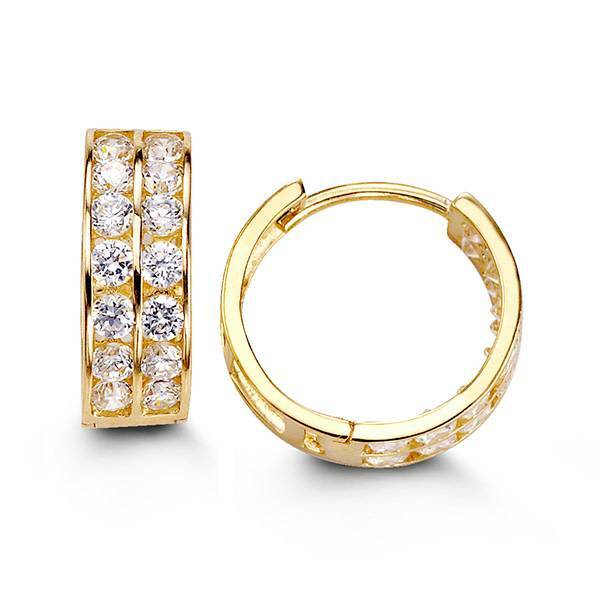 The earrings are a full hoop that secure with hinges, "huggie" style.